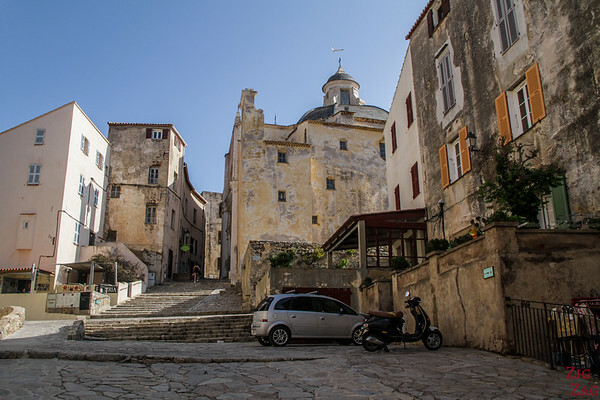 Let's find out the best things to do in Calvi Corsica and around in La Balagne region: citadel, traditional villages, inspiring beaches, and day trips to see the marvels of Corsica. Below is my guide to plan you holiday in Calvi. 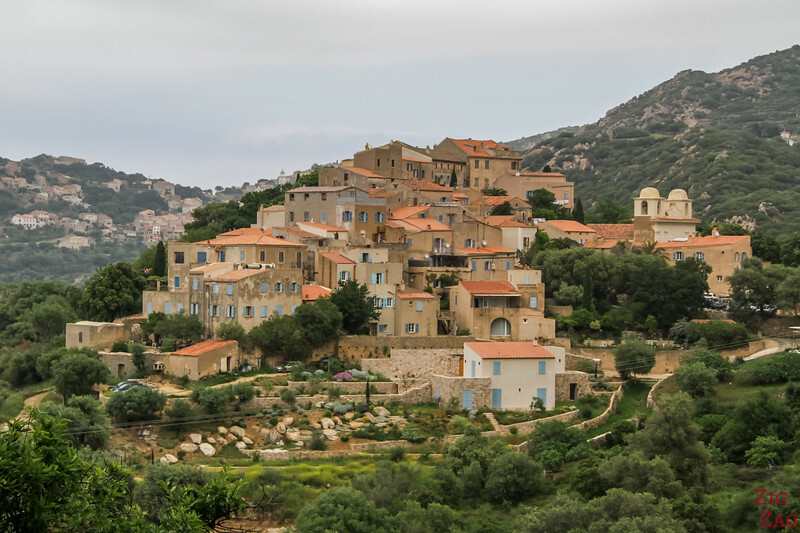 Calvi and the La Balagne villages are some of the best places to visit in Corsica. More information and lots of pictures after the tips to plan your trip. Calvi is a big touristic hub with a lot of accommodation options: lots of hotels, rentals, B&Bs as well as campsites. CAMPSITE - I stayed at Camping La Pinède. 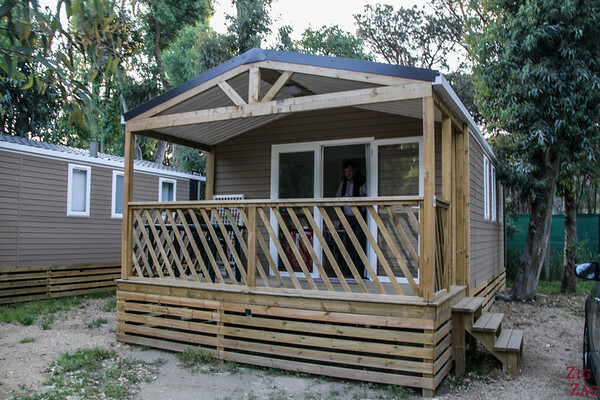 They have little bungalows you can rent. It was not big, but clean and an affordable price. Plus it was only a few minute walk from the beach. Unless you want to spend you holidays at the beach, I strongly recommend renting a car during your trip. There is lots to do around! To walk in the citadel I recommend good shoes, the pavement is really uneven! Calvi has been a touristic hub since the 1920s. 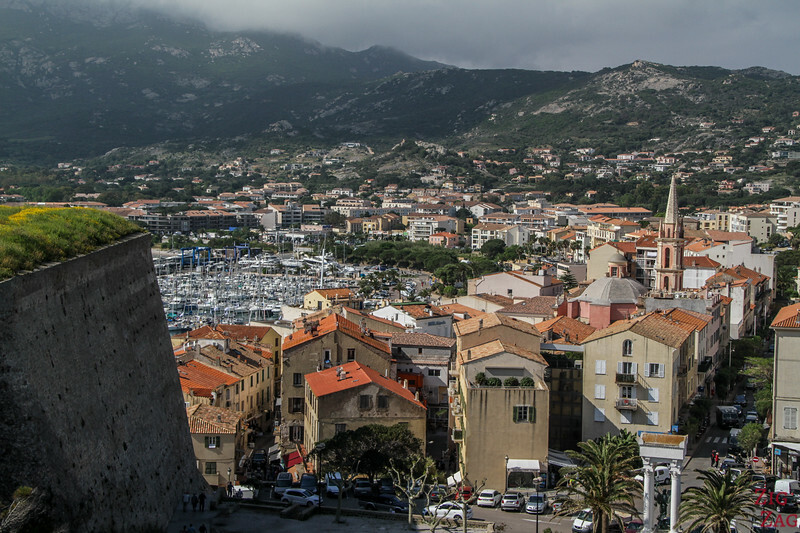 The City center of Calvi is located at the foot of the Citadel and along the marine. There is one main street following the water South of the Marine: Avenue Christophe Colomb. The city center was too busy for my taste. But there you can find all the shops and facilities you may need. Rue Clemenceau is the most vibrant street. In summer it is only accessible to pedestrians. 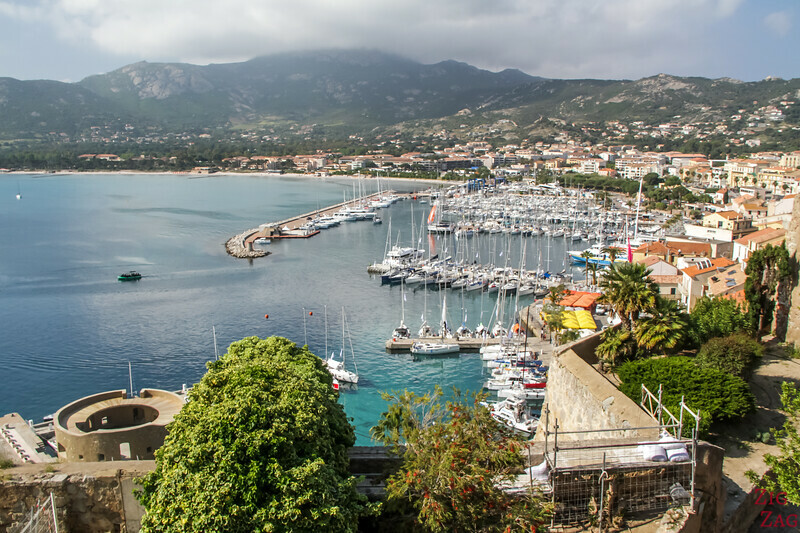 Legend: There is a story that Christopher Columbus was born in Calvi. But because of the bad reputation of the island, he was hiding the fact. 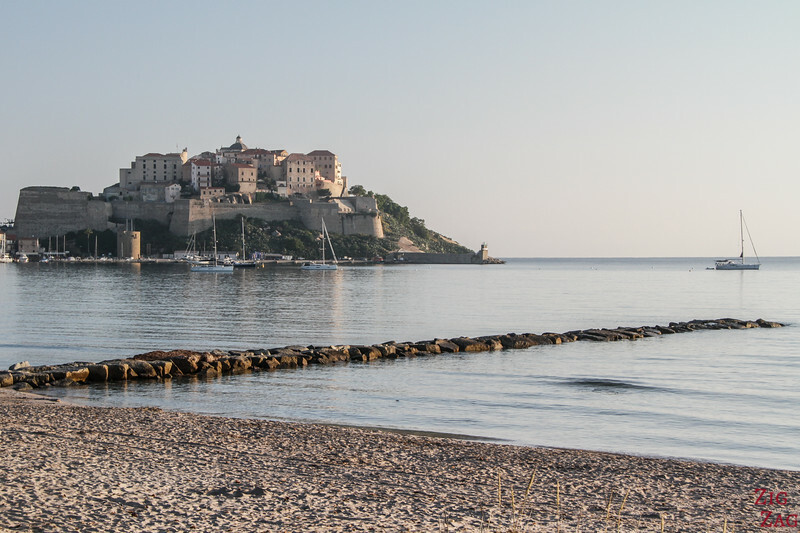 One of the main attractions of Calvi is that is has a large beach right in the center of the town. 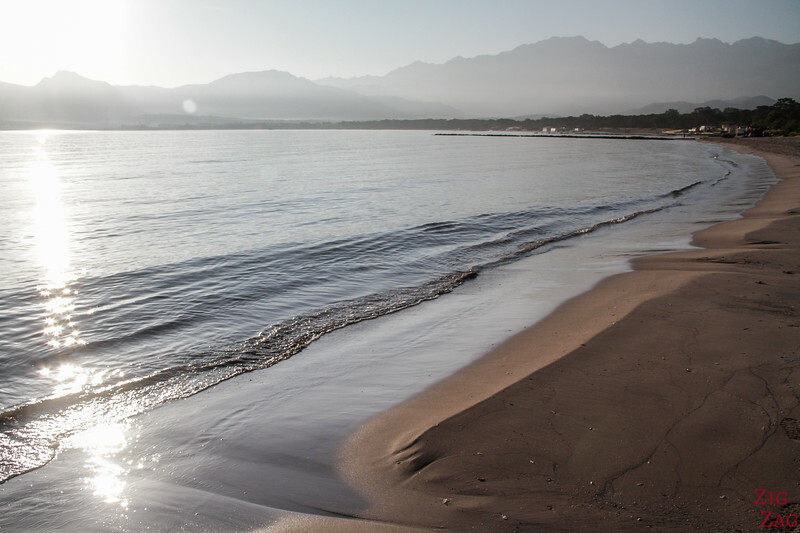 The famous Calvi beach is called La Pinède. 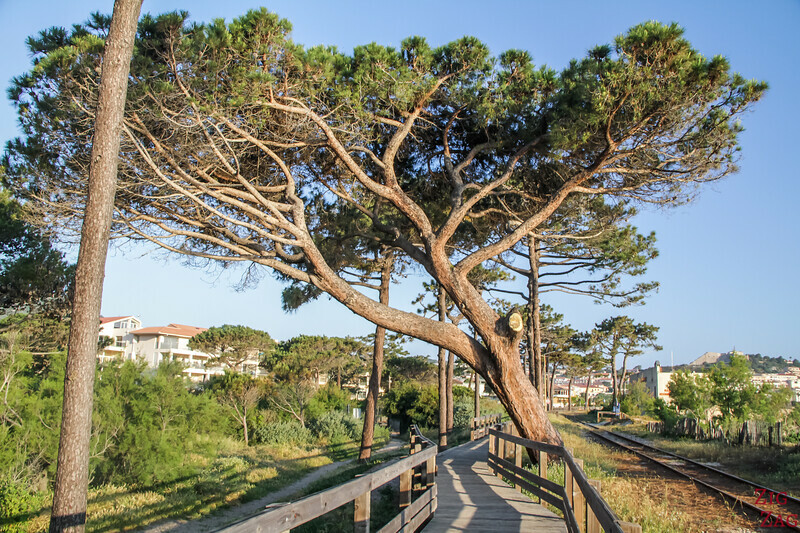 Its name is due to all the pine trees along the beach. It is a 5km long arch of white sand with lots of beach restaurant along the way. This is a fantastic place to enjoy a walk on the beach in the morning. The beach is a great place to swim and relax. But is is also recognized has a great sopt for windsurfing and Kite-surf. 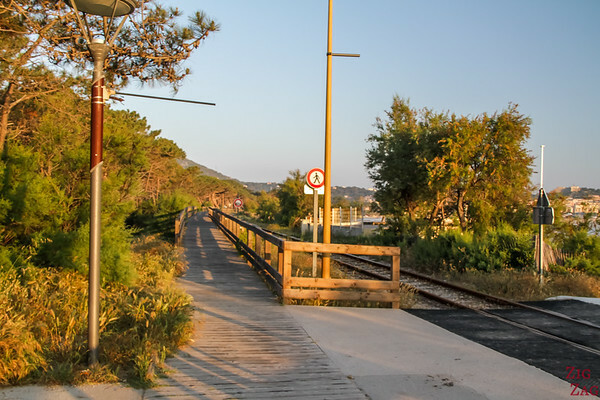 Another great feature of the beach, it that a walking path has been set up between the trees and the train tracks. It goes all the way to the city center. So if the beach is busy you can easily walk around. Of course the main attraction of Calvi is the Citadel. 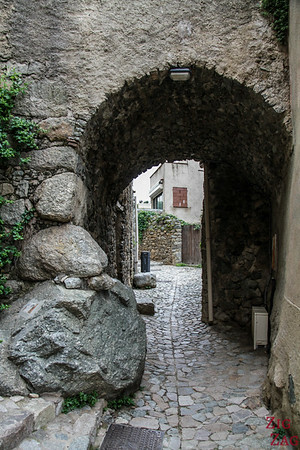 It is the most recognizable part of Calvi. 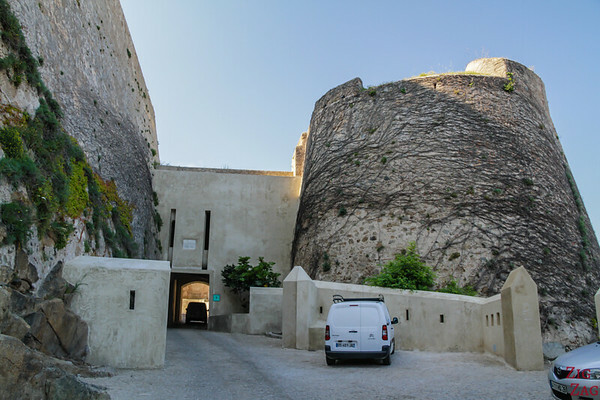 It was built under the Genoese government, between 1483 and the 17th century to built stronger defences. 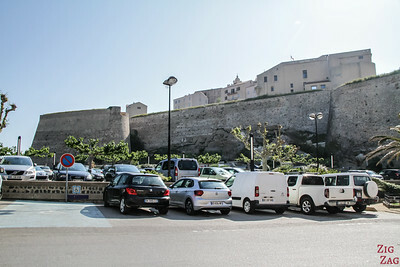 There is a large carpark at the foot of the Citadel (for a fee). If you want to learn more about the structure, history and the various buildings you can see, there seems to be an audioguide. I realised when I arrived in the Citadel. I assume you can get it at the Tourism center, but I can't find the information on the Official Balagne Tourism website. Note: the Citadel is really not recommended to people with walking difficulty. There are lots of slopes and staircase plus the ground is covered with uneven pavement. I really enjoyed the fortifications and the views. But except exploring the alleys, staircase, tunnels and so on, the buildings are not fascinating. 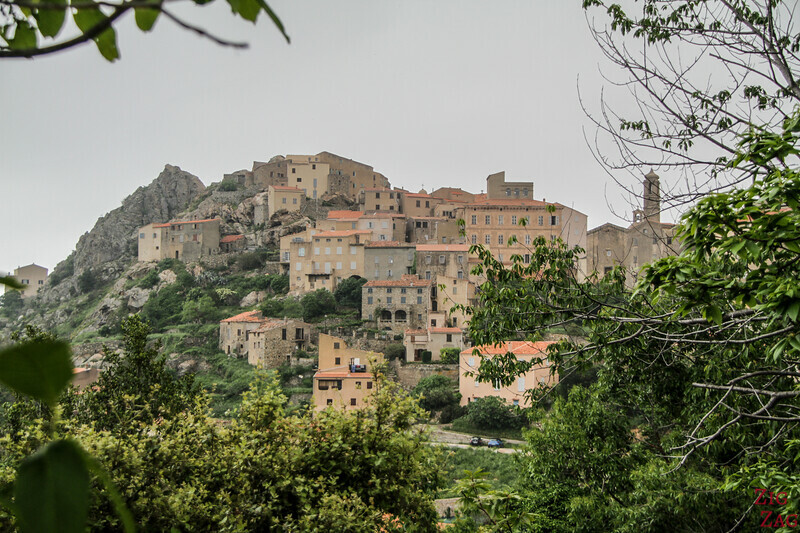 As everywhere in Corsica, the buildings seem to be in poor conditions. But the labyrinth of the Citadel is fun to explore. There are a few points of interest to look at such as the Governor palace, the Tour de Sel (salt tower). Below is the oratory Saint Antoine from the outside and inside. It dates back to the 16th century. I think the best parts of exploring the Calvi Citadel are the views all around the fortification walls. On one side, you have a complete panorama of the beach and the mountains in the background. It is splendid! 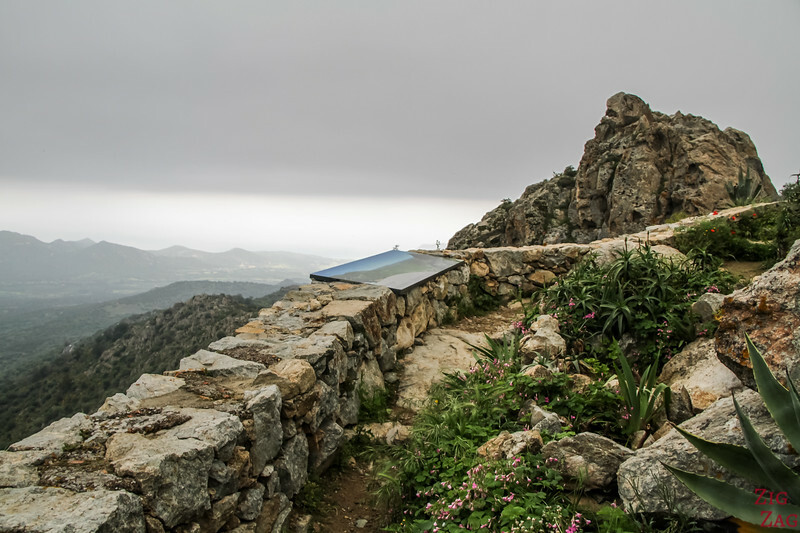 You can't see it on my picture below because of the clouds, but on a clear day, you see the highest point in Corsica: Monte Cinto at 2706m. The ones you can see below reach 1500 to 2000m in elevation. I love it when views combine sea and mountains, don't you? On the other side you also have views all the way to the peninsula of La Revellata. If you don't have a car (and even if you do), consider a train ride on U Trinichellu. 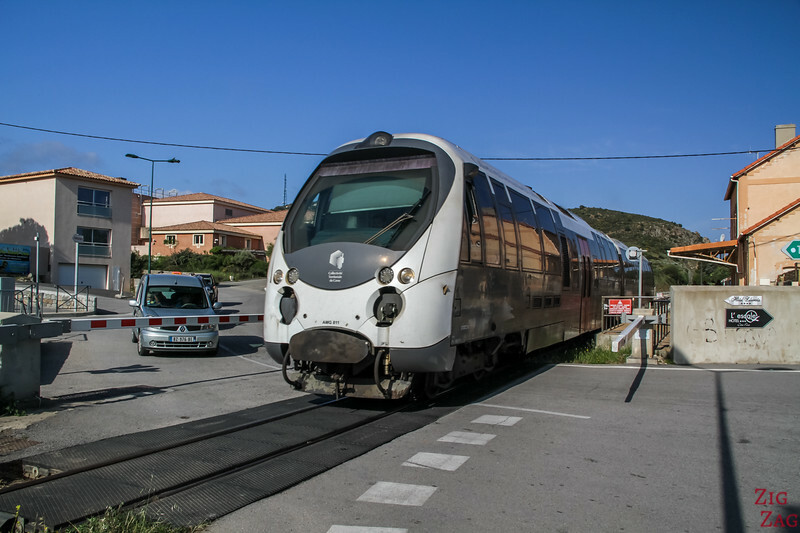 This touristic train runs during the Summer from Calvi to L'ile Rousse and return, stopping many times along the way near beaches. 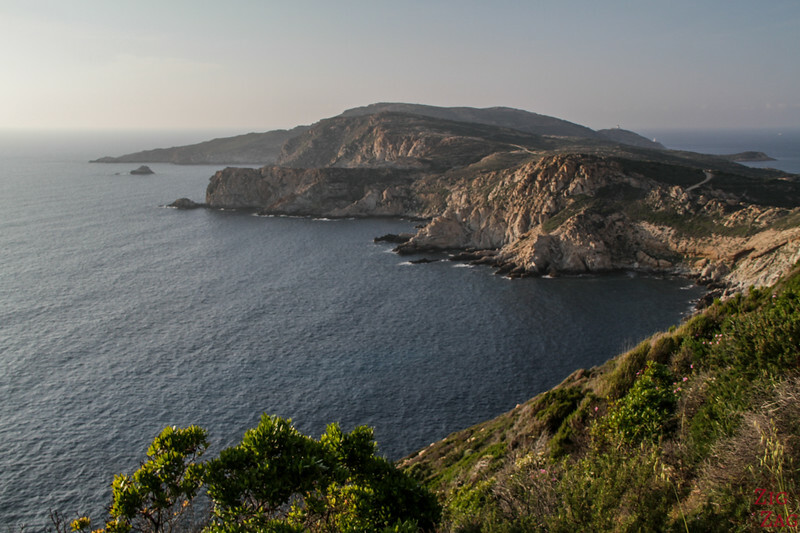 It stays along the coast for the whole time offering splendid views to the travelers! It takes 45min one way, and often runs every hour in Summer. And you reach the beautiful l'Ile-Rousse. 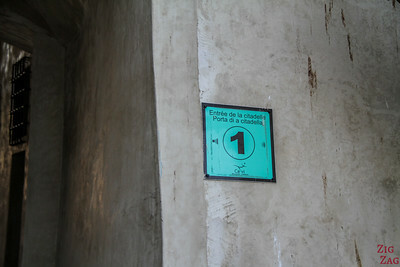 I recommend you spend some time there to complete the walk up to the lighthouse (or take the touristic train). The color of the rock is fascinating and I find the town quieter. 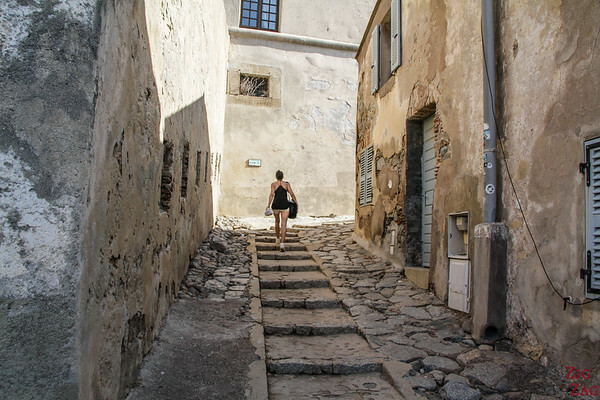 Check out more photos in my article about l'Ile-Rousse. Calvi has a large sand beach right in town, as we saw earlier. But there are more beaches of different styles to discover in the region. 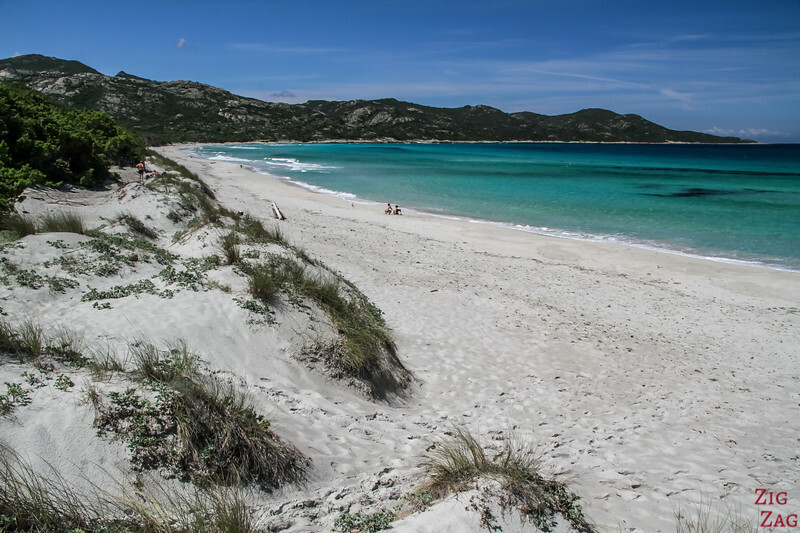 If you are looking for beautiful white sand in a stunning environment, head to Bodri. This beach is just South of L'Ile- Rousse. 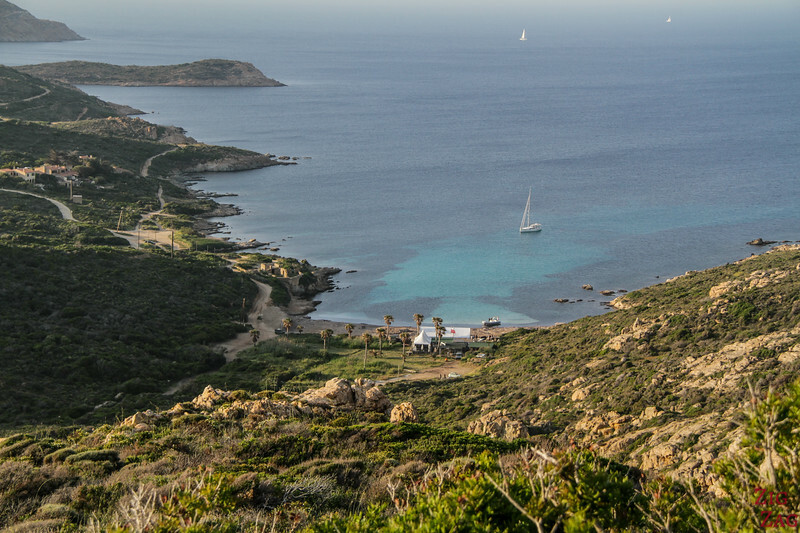 It is a 30min drive from Calvi, followed by 5min walk. The carpark is to be paid in Summer but free otherwise. Or you can reach it by train. And you can enjoy a nice walk between Bodri and the neighbor beach Ghjunchitu. 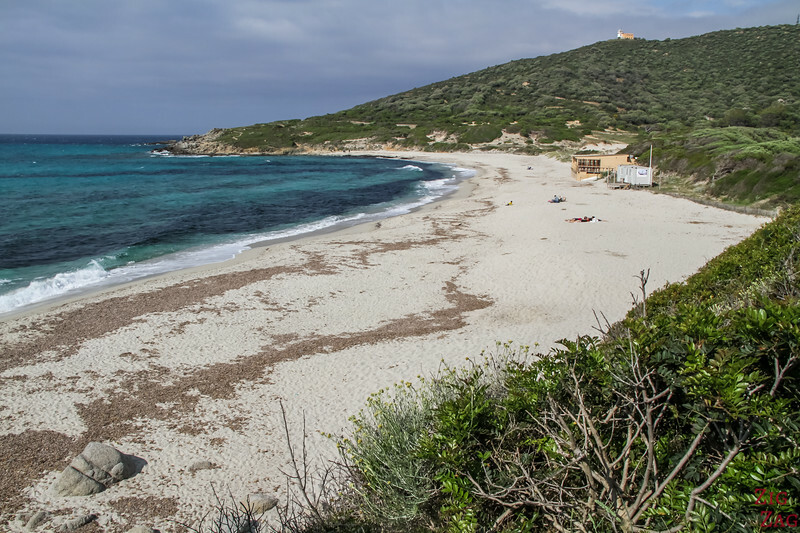 For something different, head to the other end of the bay at Punta di Spanu. You will need a car to get there and the road has big holes at the end, so drive slowly. It is a 20min drive from Calvi. The area has only 2 small sandy areas. However it has a lot of giant boulders to have fun with! 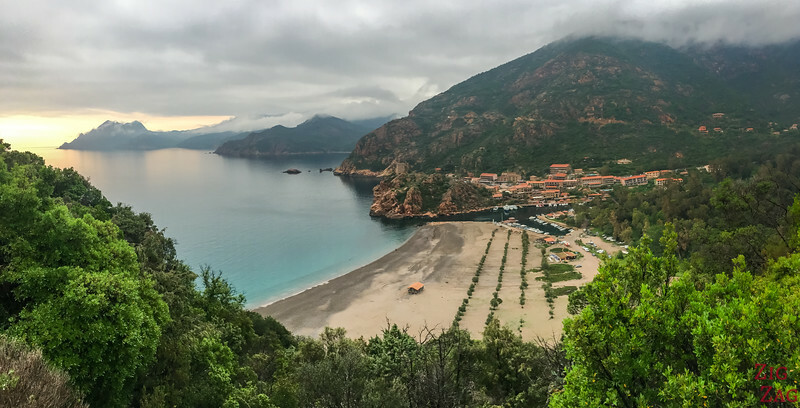 I loved it so much that I included it in my list of best beaches in Corsica. GPS coordinates and more info in my eBook. 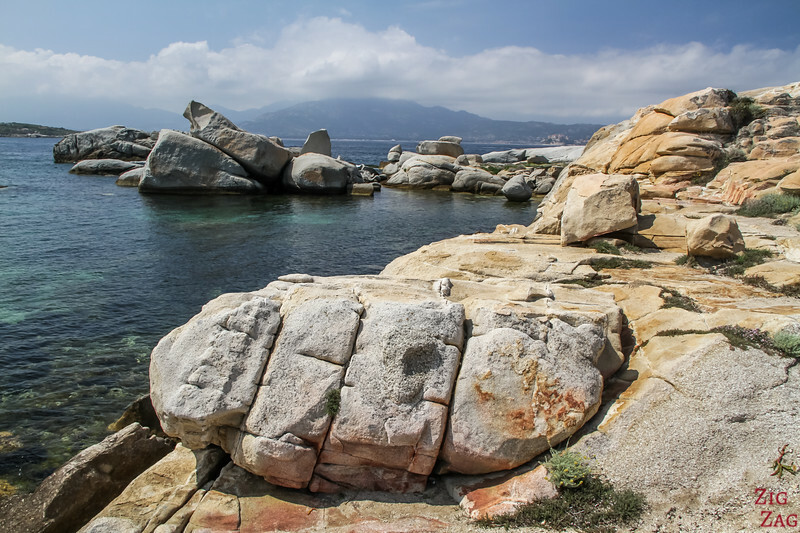 And South of Calvi, you can visit the La Revalatta peninsula. There is a large parking at is base where you can admire the whole land. You can reach it par car, or enjoy a hike along the Sentiers des Douaniers. 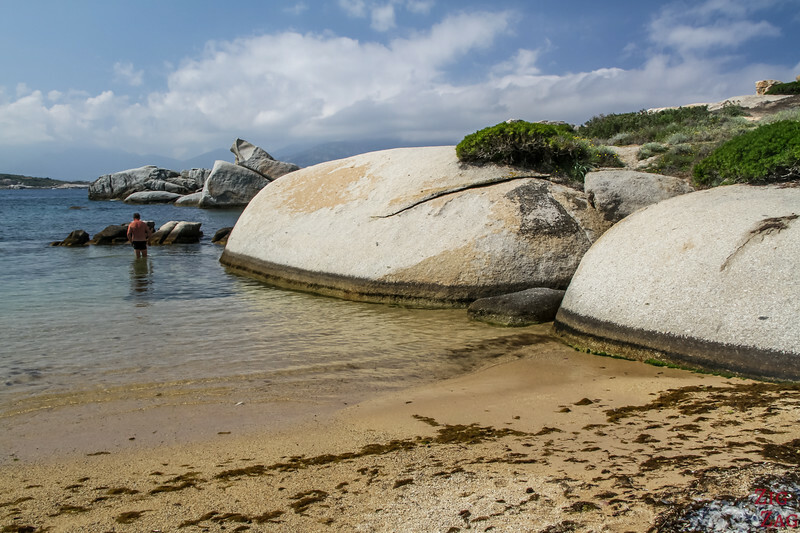 Then you can explore the area with its boulders, small creeks and turquoise water. This one is L'Alga Beach. 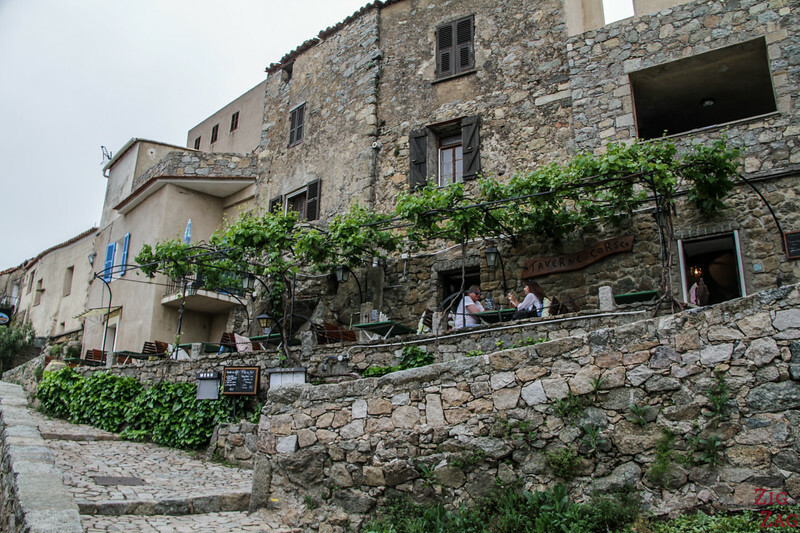 But what the region La Balagne Corsica is famous for, are the charming villages spread in the hills between mountain and sea. There is a really high number of cute little compact villages with great views and a long history. As you can see in these 2 pictures, where you can see 3 of those villages, they are strategically built in the Mountains: Pigna, Corbara, Speluncato, Sant'Antonino... There is a large choice of places to visit. The most famous and touristy is Sant'Antonino as it is the one that really is most perched on top a hill. But personally I was not a fan. For all of them you can find great places to admire the whole village and its situation. 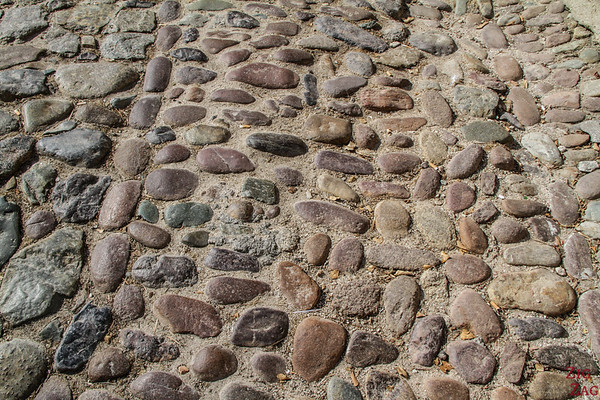 As you can noticed on the picture below, they often built some houses using the rocks as part of the walls! The region has been inhabited since 6000 BC. Most of the villages you can visit today are from medieval times. 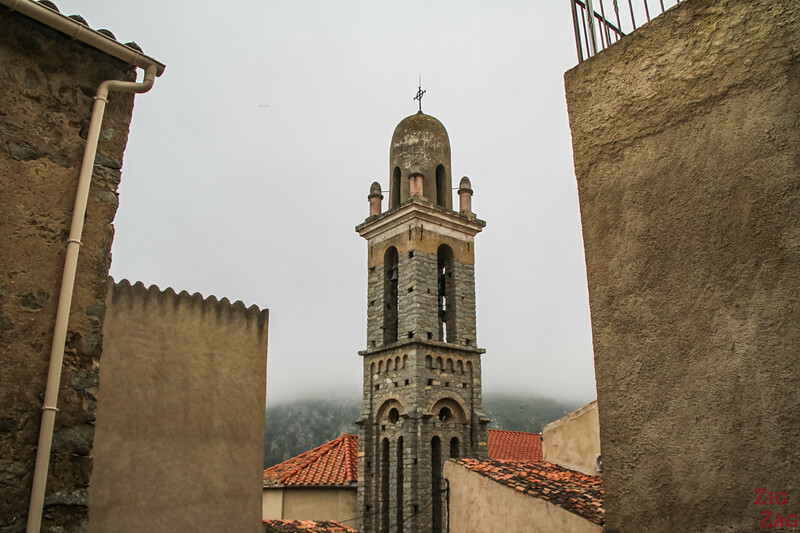 Pigna was formed around 862. 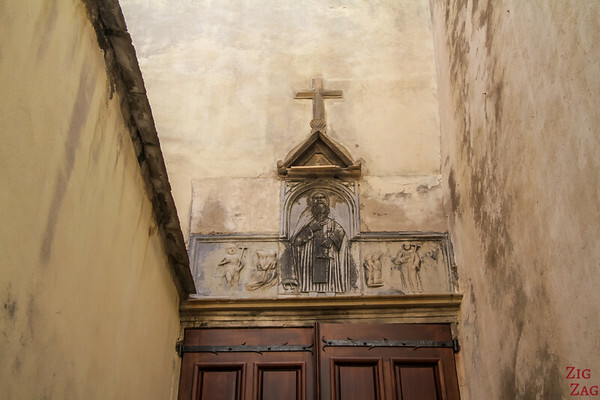 Sant'Antonino would have its origin during the 9th century too. They were strong communities for several centuries until people moved back to the coast in modern days. Today you can walk see old houses built around rocks and close to each others. 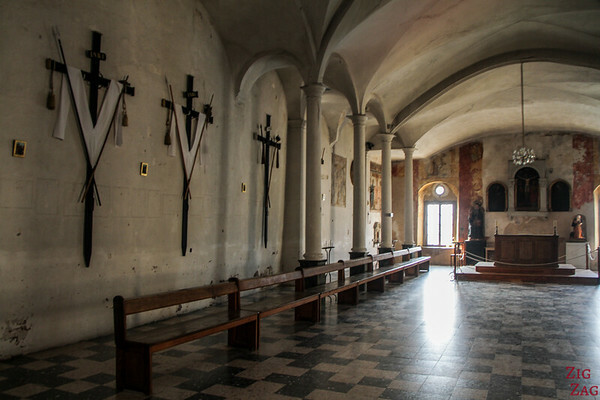 There also are many churches to visit as their history is linked to religion. It is really quite fun to explore those villages. It can only be done on foot as the streets are narrows. They are like labyrinths. It is a good thing that they are not large, because you could easily get lost! Many of them have tunnels. 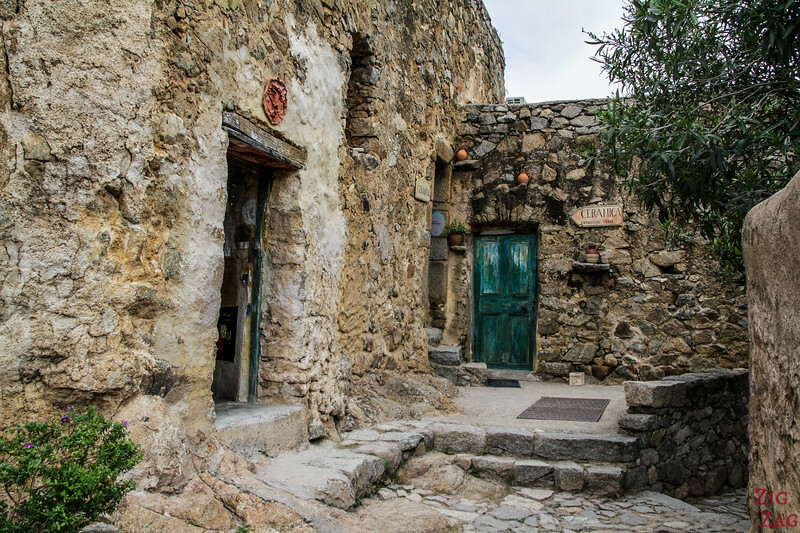 In Pigna many of the houses are used by artists to work and display their art. 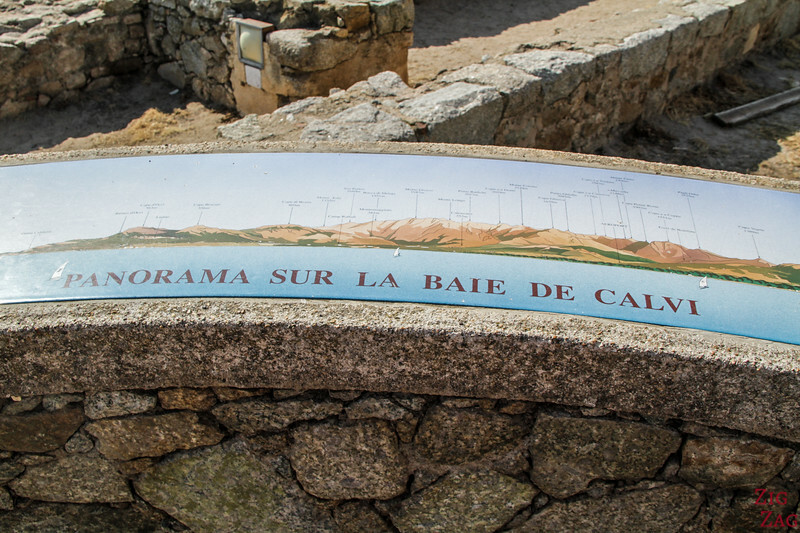 Because of their location on top of hills, the villages of La Balagne Corsica all have fantastic viewpoints. 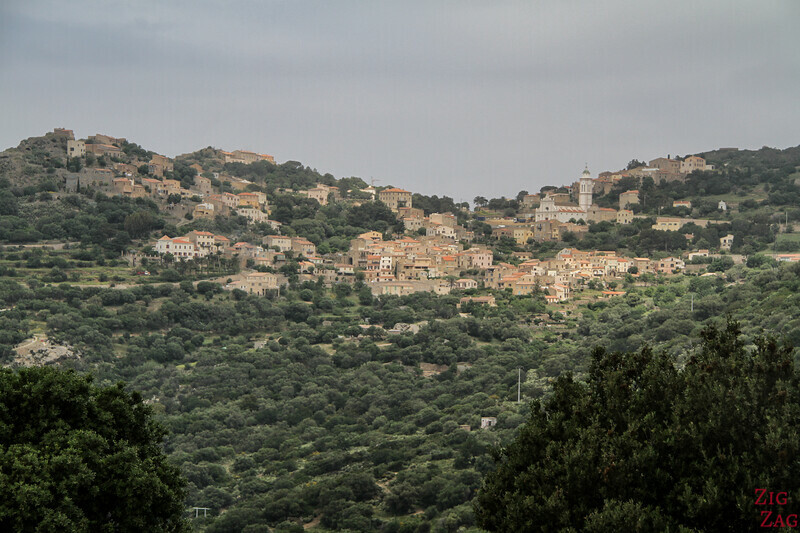 Sometimes the views are facing other villages, but most of the time you can see the valley and the sea. 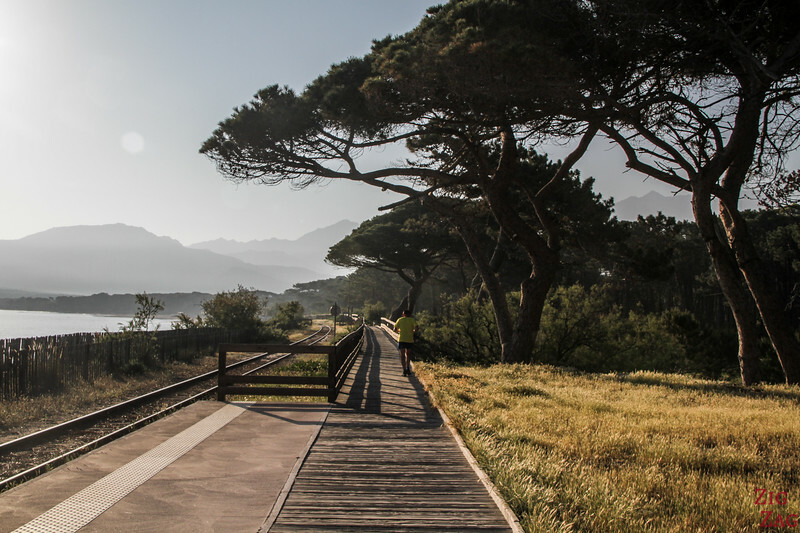 2h of a magnificent drive and you arrive at the heart of the Gulf of Porto, a Unesco Heritage site. 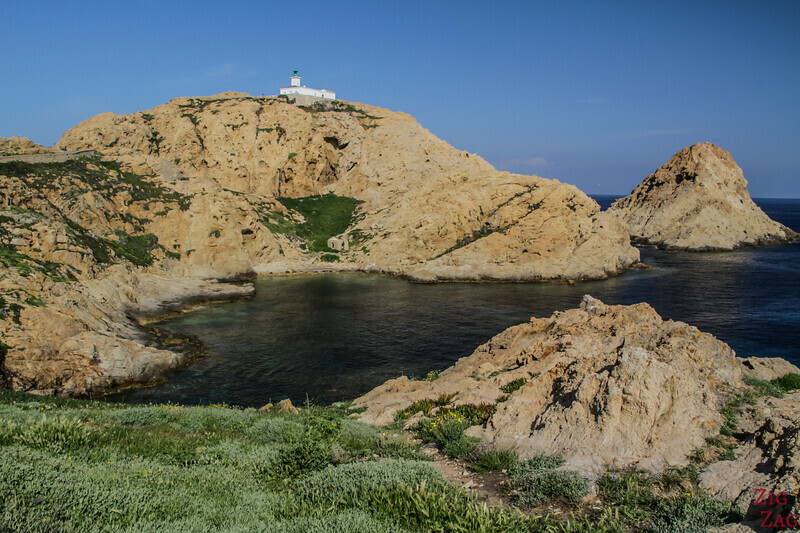 It is home to the fabulous Calanques de Piana and the Scandola Nature reserve. Many boat tours departs for Porto Ota - Check out the one I did for Scandola, and once you select the date you can add the Calanques de Piana - Check out program and Book. You can see plenty of pictures on my articles about the Scandola Reserve and the Piana area. Note: boat tours to Scandola are possible direct from Calvi, however you can't go all the way to the Calanques of Piana and you miss an magnificent drive! 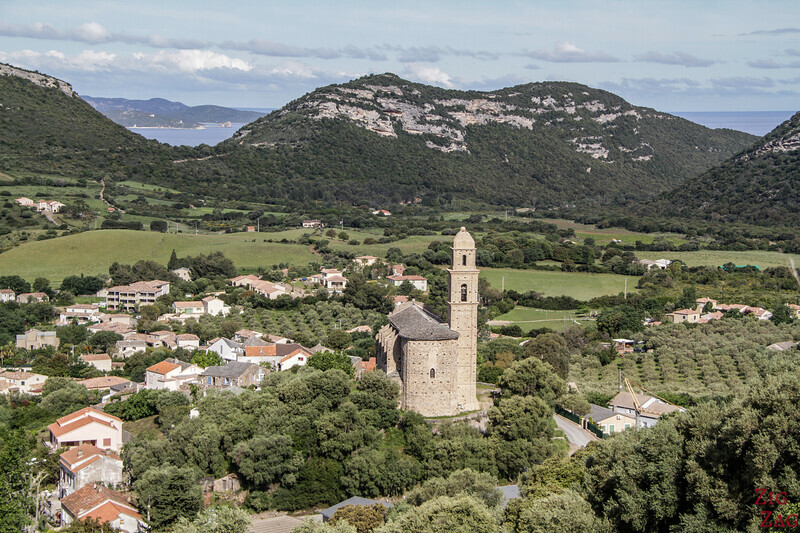 If you enjoy wine, you can head North near Saint-Florent. Stunning areas, don't you think?